Of course there&apos;s a summer variation of the smokey eye -- three if you use these looks ranging from girl-next-door subtle on Jessica Biel to sultry-kitten bold on Scarlett Johansson as examples. What makes them different? Less stuff. Summer is about lightening up your makeup load, going for sheer vs opaque, a whisper of smoke rather than an opaque screen. 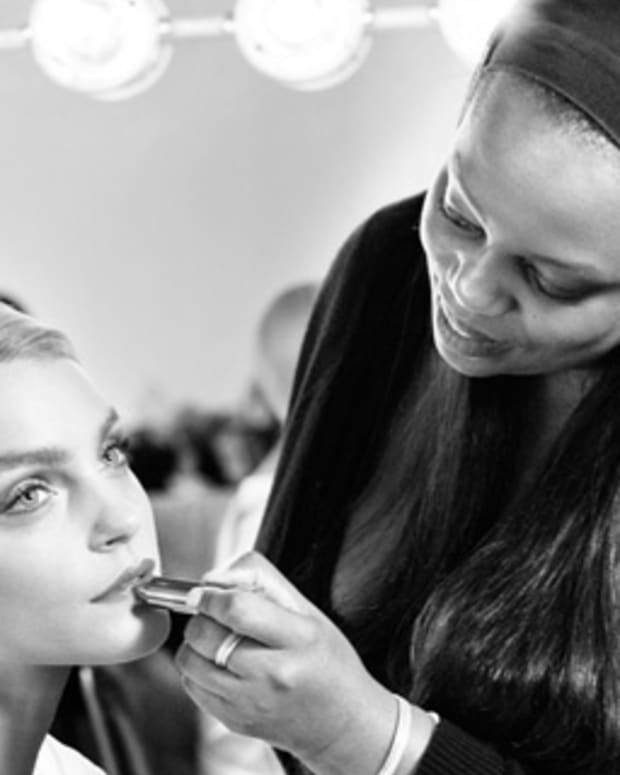 For a smoke-esque effect like Jessica&apos;s, sweep lids and lower lashlines with a shimmery taupe or copper. Intensify outer vee of eyes with chocolate brown or deep bronze shadow. Line the inner upper rim -- you can do it -- with waterproof black pencil (try Make Up Forever Aqua Eyes, GOSH Velvet Touch or Lise Watier Waterproof Eye Liner). Switch to a black khol liner (it&apos;s easier to smudge) to line the upper lashlines, right at the base of the lashes. Gradually thicken the line for a slightly winged finish from the outer edge of the pupils to the outer corners of eyes. Lightly line lower lashlines too, keeping the intensity to the outer half and extending to meet the end point of the upper-lid line. Smudge a bit to soften edges. With a Q-tip or little pointy shadow brush, dab inner corners of eyes with a sheer champagne shadow. Curl lashes and apply black mascara top and bottom. 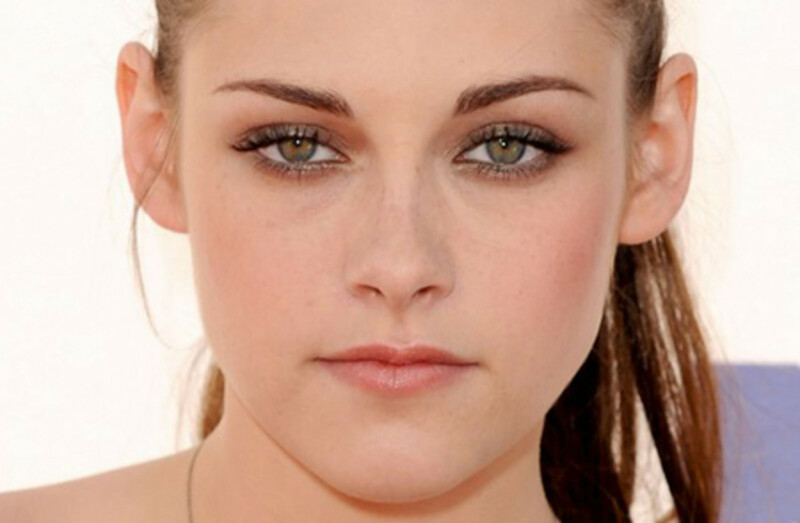 I confess, I love Kristen&apos;s eye makeup best. It appears to echo the colour of her eyes without competing with it. Sweep a not-too-shimmery copper shadow over the entire lid and just above the crease, fading out to leave the brow bone bare. Run the same shadow along the length of the lower lashlines. Line the upper inner rims with black waterproof pencil -- it&apos;s really the easiest way to get a thick-lashed effect without looking like you&apos;ve used liner. With a bronze-y green liner such as MAC To the Beach Eye Kohl in Rosemary and Thyme or Technakohl Liner in Uniform, stroke colour across upper lashlines and soften with a brush. Run the same pencil along the inner lower lash lines and squeeze eyes shut for a second. Dab a bit of pale gold shadow in the inner corners of eyes and extend it a bit under the lower lashlines. Curl lashes. Apply a half-strip of lashes if you like, and finish with black mascara. Scarlett&apos;s application is pretty clear, no? Shimmery cool taupe or icy beige on the lids, copper or bronze blended in the crease and on the outer vee of where upper and lower lashlines meet, plus black liner. Line the upper inner rim with black waterproof pencil, then switch to black khol to line along the upper lashes and the inner lower rim, right across to the tearduct. (Alternatives: waterproof gel liner, such as Smashbox Jet Set, Bobbi Brown Long-Wear Gel Eyeliner or Maybelline New York EyeStudio Lasting Drama Gel Eyeliner. )Â Dab pale gold at the inner corners, curl lashes (and apply falsies if you like) and add mascara. Let me know if you try any of these looks -- I&apos;d love to know how you fared. Images -- borrowed? -- from JustJared.